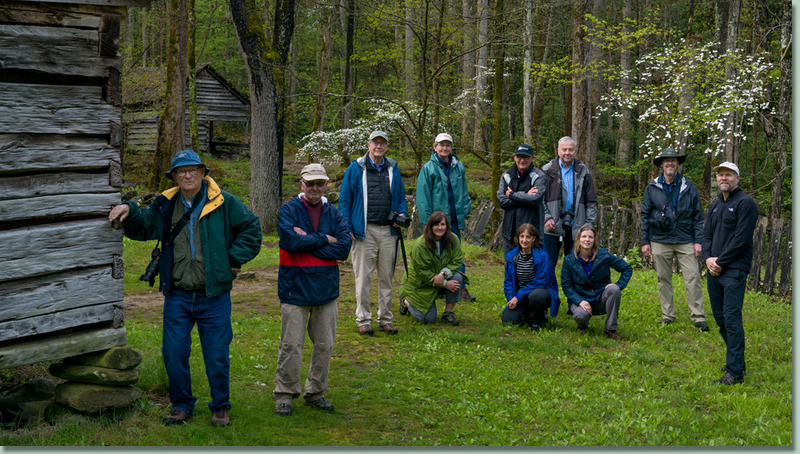 Biennial Workshop - Our next Spring in the Smokies workshop will be held in April 2022. 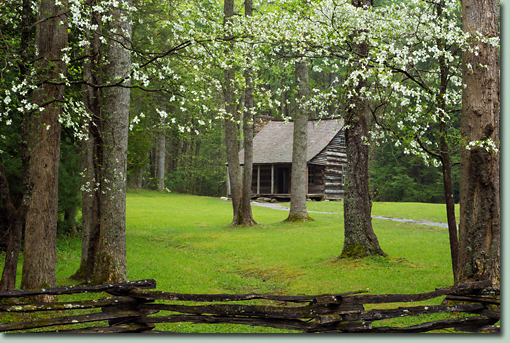 Join our spring workshop in Great Smoky Mountains National Park. 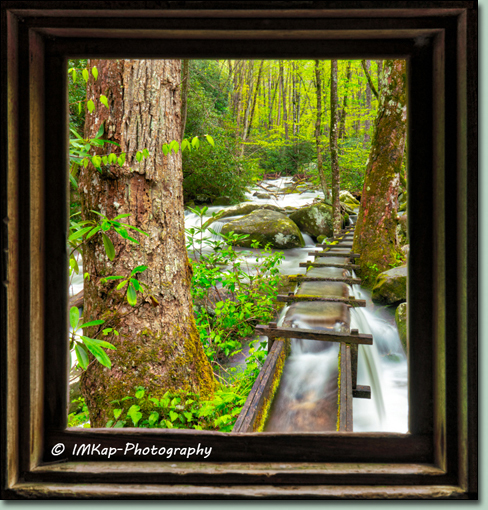 Spring is a wonderful time to photograph in the Smokies. 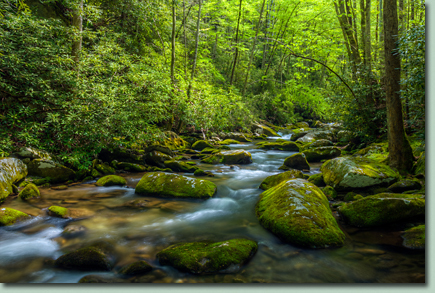 A vivid assortment of greens proliferate the surroundings, streams and rivers babble with fresh runoff and wildflowers abound. 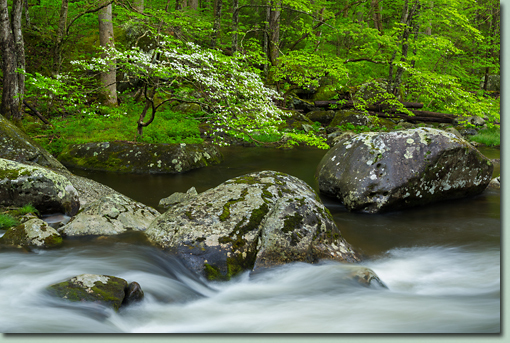 During this workshop, we focus on photographing spring scenes, wildflowers, streams, cascades, scenic overlooks and historic buildings. 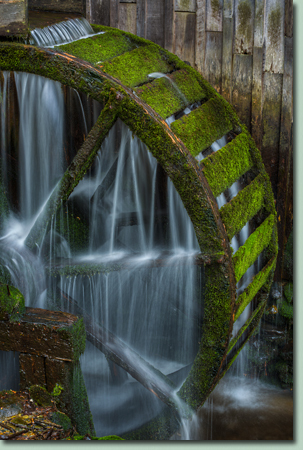 This workshop concentrates on exploring and photographing locations. Some days we may spend most of our time in the field photographing, on other days we will have lengthier midday breaks and provide post processing assistance. This workshop is geared for the intermediate to advanced photographer. However, beginners with a working knowledge of their camera can gain a lot of experience and instruction. Each participant is assisted at their level. We focus on helping participants create the most appealing compositions of each location we visit. As needed we'll delve into extensive discussions on equipment, exposure, metering, filters and personal tips. This is a workshop environment, the instructor is present to aid in the field and teach his techniques for landscape photography. If you're an advanced photographer he is happy to help or stay out of the way. Participants should check in with Andy on Sunday, (April 26th, 2020) in the hotel conference room at 7:00 P.M. for introductions and a discussion We start photographing on Monday morning. Check-in Sunday, April 26, 2020; Check-out Tuesday, April 28, 2020. Check-in Tuesday, April 28, 2020; Check-out Saturday, May 2, 2020. Generally, participants can expect to be at a shooting location for the start of early light (about 6:00 - 6:45 A.M. depending upon location) and we'll stay in the field into the morning. We will provide breakfast bars and water for the early mornings. We will have a meal after the morning shoot (on Monday this may be lunch). Everyday there is scheduled midday time at the hotel to download, rest and on two days there is additional time for the instructor to answer post processing questions. In the late afternoon we'll eat a meal (picnicking twice) and return to the field for the evening shoot (sunset about 8:15 P.M.). Our itinerary is created to provide the best lighting conditions with mostly clear skies. If we have an overcast day (good for photography) that day's schedule will be modified. We will photograph in drizzle, but not hard rain and wind. Formal workshop ends after shooting Friday evening. 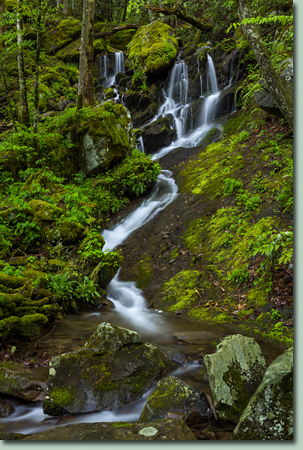 During this workshop most photography locations will be within 400 yards of the parking lot, some may involve trail hiking. Trail hiking surfaces and those beyond the parking lot are generally uneven, hiking boots are recommended. At many locations participants will seek vantage points amongst large boulders and rocks, this increases one's risk of slipping and falling. If water levels are not too high, we plan to wade across a stream where one's feet are likely to get wet, please bring appropriate footwear. One doesn't have to be in tip-top shape, but a participant's enjoyment will be enhanced by good health and preparation. Please consult with a doctor before attending our workshop. Be prepared for possible temperature extremes and sudden changes in weather. Be aware that mornings can be very chilly. Often we will be out in darkness before sunrise and after sunset, please bring a flashlight. LODGING: For this workshop the instructor's hotels have been selected for ease of access in and out of the park. There are other hotels, feel free to stay at the instructor's hotel or select a nearby hotel. Participants need to contact hotels directly and reserve their rooms upon registering for the workshop. This is a busy time of the year in Gatlinburg, hotels may fill to capacity. If you are considering this workshop please make hotel reservations as soon as possible. Perhaps, even before registering for the workshop. 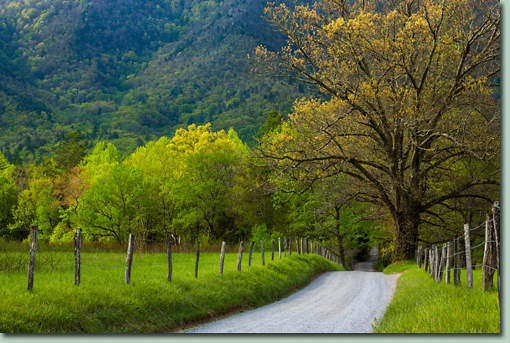 Thankfully, both Gatlinburg and the park are much less crowded in Spring as compared with Autumn. Our photography locations are selected based on compelling non macro subjects. 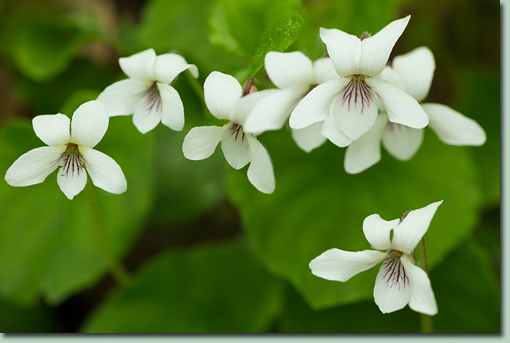 However, at many of our locations one will find a plethora of flowers and other amazing macro subjects. Equipment Recommendations: Bring all camera equipment including the camera's manual. 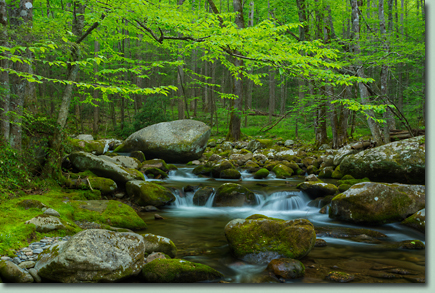 We recommend using a polarizing filter with most photographs on this workshop. Andy combines images of various exposures in post processing. Andy will be happy to teach participants his field (requires a cable release with some cameras) and post processing techniques (bring laptop with Photoshop) for doing so. A lens range from 18mm to 400mm after the lens multiplication factor is recommended. However, we think participants should bring their entire range of lenses. 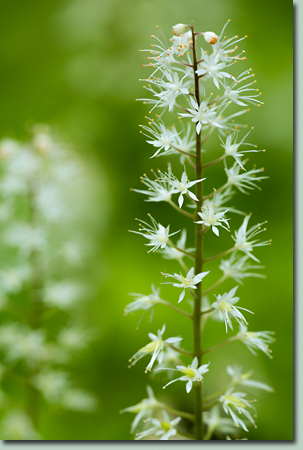 A macro lens or extension tubes or diopters for shooting close-ups may also be useful. 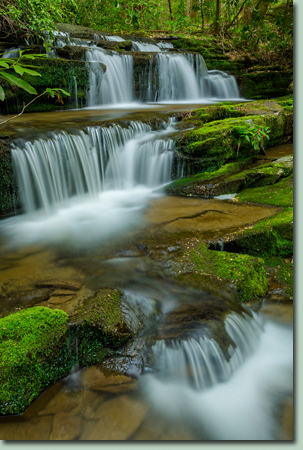 To blur water motion on a bright day, consider bringing a 6 stop or higher neutral density filter, this filter can be the screw on type. Note: Many variable ND filters have issues with banding and differential darkening, Andy does not recommend using variable ND filters. We do not guarantee the weather. Workshop fee does not include transportation, lodging or meals. Maximum number of participants is 10. We require an acknowledgment of risks be signed before going into the field. We will send the acknowledgment of risks upon registration, please return it at the start of the workshop. 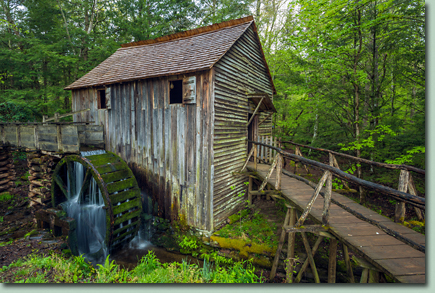 Not all locations visited in the past may be part of this workshop, we may add new locations. In the event Rocky Mountain Reflections Photography, Inc. (RMRPI) cancels a workshop due to unforeseen circumstances such as inability to obtain permits, instructor injury, death... Then, RMRPI will refund fees collected by RMRPI for the affected workshop. In the event of a natural disaster, government closure or other happening of this nature that causes a workshop to be canceled, RMRPI may be unable to refund workshop fees. If this happens then funds collected by RMRPI will be applied as credit toward a future workshop of the participant's choosing. RMRPI will not be held responsible for other expenses (airline tickets, hotel deposits, rental car...) that may be associated with any canceled workshop. Rain is a real possibility. Yes, we may shoot in the rain, bring an umbrella and rain proof cloths. Shoes for wading in water, yes, it's cold, but may be worth it; Andy uses Tevas.